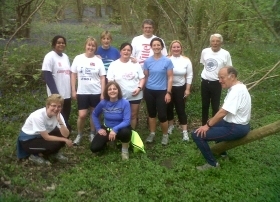 The Club is sociable road and cross country running club, with a strong interest in Fell and Trail Running. It was formed in May 1985 and now has a membership of approximately 330, of both men and women from the age of 16 upwards. We welcome runners of all abilities, from the complete beginner to the experienced runner wishing to compete in County and National Championships. We would welcome applications from disabled runners. The present membership ranges from those who only jog occasionally to improve their fitness to regular marathon runners.